Beautiful. Welcome to financial hell. Thanks. Al, right? I recognize you from my old E39 days and the Z3 section. Yup, that’s right! I’ve still got both the Z3 and 2 E39s. We picked up our 4.8is 3 weeks ago and already down a transmission valve body and a window regulator. . Still love it though. It’s a sickness. Haha. Congratulations! Looks good! How many miles on it? 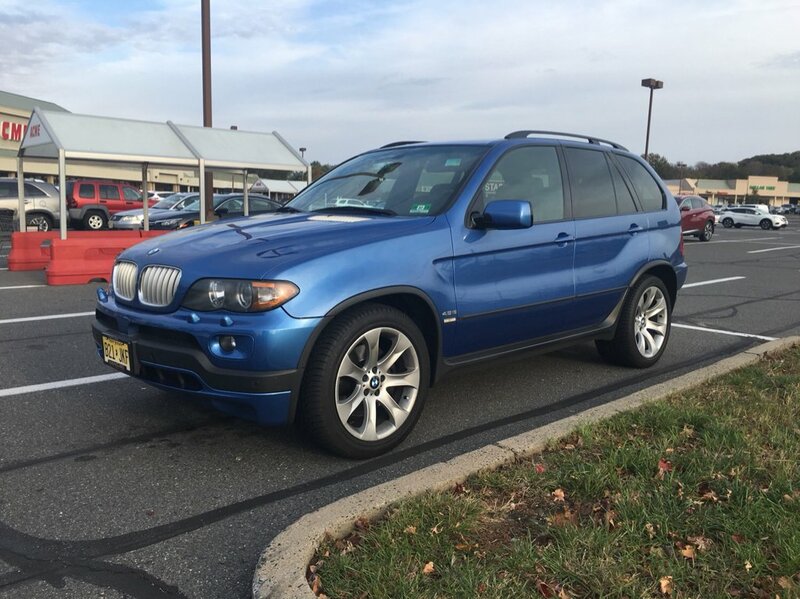 2004 BMW X5 >4.4i Retrofit 4.8 Rear Bumper, Extended Flares, 4.8 exhaust ,Bull guard, Blacknight gauge cluster. 2009 BMW X5 >35D -Stage 2 DUDMD tune, full delete ATM catted DP, Midpipes, EGRracepipe, swirlflaps. Clean looking ride for sure. Mileage on this puppy is 215K miles. Just broken in! what style wheels are those?